Bop It! first appeared in our house around 17 years ago and since then they've regularly added to the range, changed the design and developed new features. 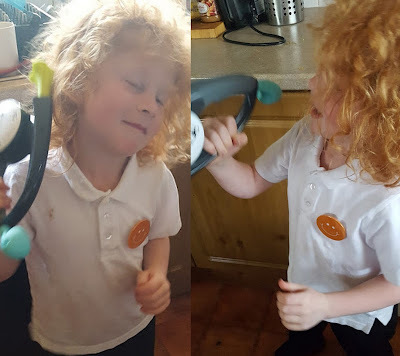 We've had several different Bop It! versions, most recently a White Bop It! Extreme. The Extreme model is no longer available, and this Autumn sees a brand new updated Bop It! 2016 release which is action orientated and uses motion technology to full effect. 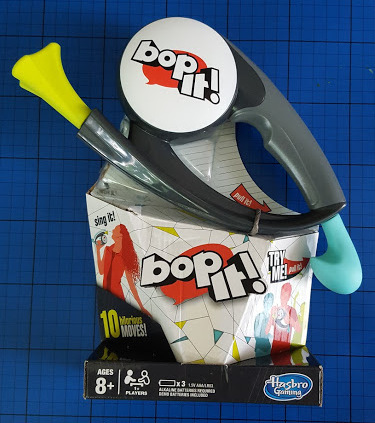 You can play competitively against yourself or others, trying to complete as many moves as possible correctly when directed by Bop It! The new version features 10 different moves including whip it, drink it, selfie it, hammer it, answer it, cradle it, saw it, sing it, golf it and comb it, and has 3 solo and social play options - Classic, Beat Box and Pass It. We've never had any of the mini Bop It! games, so this is a smaller design than we're used to, and it works very well. Not as heavy as previous versions we've had, and easier to swing around if you have two very different actions in sequence - e.g. from Sing It to Golf It. It's a great laugh. Most of the new actions are loads of fun - Sing It in particular. Hammer It and Saw It are both so simple, yet you still mess it up! This is a fairly active Bop It!, but you can still play sitting on the sofa, so really it can't go far wrong and has been a definite hit in our house. Bop It! is also perfect for bringing out the competitive nature in our teenagers - and I will reach a point I take the batteries out to reset, because one of them has got a great high score in the solo game which the little ones can't hope to achieve. Designed for age 8+, younger children still love trying, but simply aren't quite as quick! Bop It! is made by HASBRO and available at all good toy stockists, instore and online including Amazon, Smyths and Argos. The brand new Bop It! will be available this Autumn. Bop It! varies in price depending on the design, prices range from £9.99 to around £27.99. 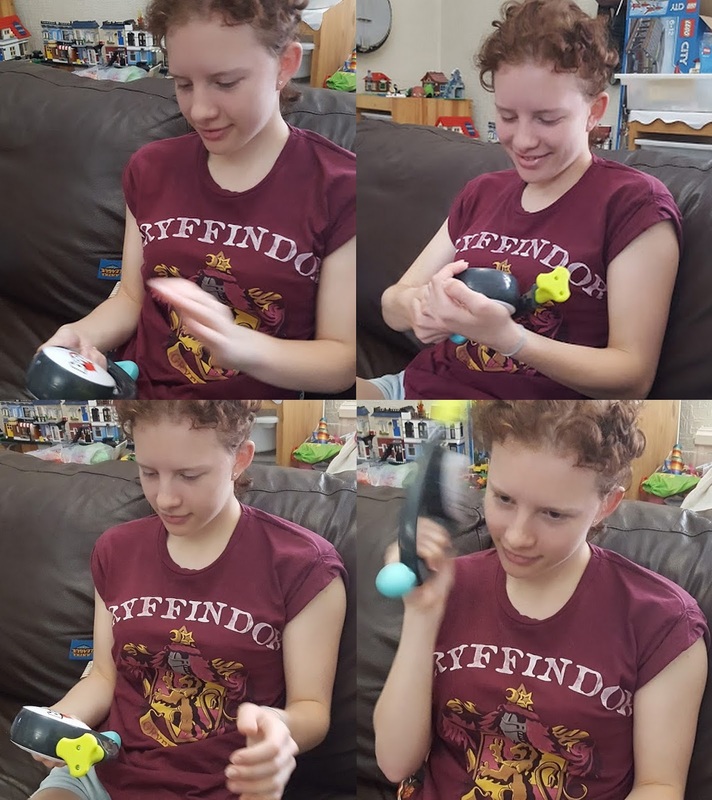 We were sent our Bop It! for review. I have been a big fan of Bop It ever since I was introduced to it when I was six years old. I have autism and Bop It games and other games like this suit autistic and even blind people well. One thing I like about this new Bop It is when the batteries are running low it actually tells when to change the batteries. I hope Hasbro will add this feature in future Bop It's. It's pretty cool when it says "My batteries are running low." It turns off after it says it but it keeps your high scores so you still get a chance to listen to your high score before the sensor comes closer to the point where you can't start the game anymore.